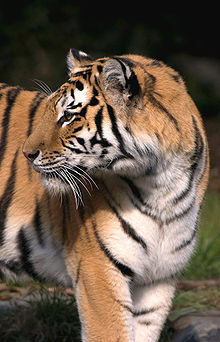 Two tiger attacks occurred at the San Francisco Zoo, in 2006 and 2007, both involving a female Siberian tiger named Tatiana (June 27, 2003 – December 25, 2007). In the first incident, a zookeeper was bitten on the arm during a public feeding. In the second incident, one person was killed and two others were injured before police shot and killed Tatiana. Tatiana was born at the Denver Zoo on June 27, 2003, and was brought to the San Francisco Zoo on December 16, 2005, to provide the 14-year-old Siberian tiger, Tony, with a mate. Tatiana had no prior record of aggression towards humans. On December 22, 2006, as veteran zookeeper Lori Komejan was feeding Tatiana through the enclosure's grill, Tatiana clawed and pulled Komejan's right arm through the grill and bit it. The California Occupational Safety and Health Administration later determined that the zoo had inadequate safety precautions and staff training and fined it $18,000. Komejan – who underwent several surgeries and skin grafts and whose arm was severely scarred and permanently impaired – sued the zoo, settling in 2008 on undisclosed terms. The tiger cage was remodeled and re-opened in September 2007. Shortly after closing time on December 25, 2007, Tatiana escaped from her open-air enclosure, killing 17-year-old Carlos Eduardo Sousa Jr. and injuring brothers Amritpal "Paul" Dhaliwal and Kulbir Dhaliwal (19 and 23 years old, respectively). The brothers fled to the zoo cafe 300 yards (270 m) away, which was locked. An employee heard their screams and called 911 at 5:07 pm. The emergency response was delayed, first because cafe employees said in their call that they suspected that the screaming person was mentally ill and that there was no actual animal attack, and later because zoo security guards were enforcing a lockdown to prevent Tatiana from escaping the zoo grounds. Armed officials found Tatiana with Kulbir Dhaliwal, but held fire at first for fear of hitting Dhaliwal. They created a distraction which caused the tiger to turn towards the officers, who shot her through the forehead. The Dhaliwal brothers received deep bites and claw wounds on their heads, necks, arms, and hands. They left the hospital on December 29. Sousa was found near the tiger grotto with blunt-force injuries to his head and neck; many punctures and scratches to his head, neck and chest; skull and spinal fractures; and a cut to his jugular vein. The Association of Zoos and Aquariums said the attack was the first time a visitor had been killed by an escaped animal at a member zoo since the Association's founding in 1924. The zoo was closed until January 3, 2008. It was not immediately apparent how Tatiana had escaped, but police said that Tatiana may have "leaped" or "climbed" the walls of her enclosure. Police undertook an investigation to determine whether one of the victims climbed over a waist-high fence and then dangled a leg or other body part over the edge of a moat around the tiger enclosure. Two days after the attack, on December 27, 2007, the zoo reported that while the moat, at 33 feet wide, was sufficient by national standards, its claim that the grotto's moat wall was 18 feet (5.5 m) tall was incorrect; officials measured it at 12.5 feet (3.8 m) tall, substantially lower than their initial report, and substantially lower than the AZA-recommended 16.5 feet (5.0 m) for such enclosures. Tatiana's rear paws were embedded with concrete chips, suggesting that she had pushed against the moat wall during her escape. In the days immediately following the attack, the director of the zoo stated that Tatiana was probably provoked. He said, "Somebody created a situation that really agitated her and gave her some sort of a method to break out. There is no possible way the cat could have made it out of there in a single leap. I would surmise that there was help. A couple of feet dangling over the edge could possibly have done it." Sources told the San Francisco Chronicle that pine cones and sticks that might have been thrown at Tatiana had been found and which could not have landed in the vicinity naturally. Paul Dhaliwal later said that the three had yelled and waved at the tiger. According to early news sources, the Dhaliwal brothers had slingshots on them at the time of the attack. In later reports, the police denied that slingshots were found in the victims' car or at the zoo. Zoo visitor Jennifer Miller and her family allegedly saw the group of men, including an unidentified fourth person, taunting lions less than an hour before the tiger attack. She later identified Carlos Sousa as being part of the group but said Sousa did not join in the taunting. An attorney representing the Dhaliwal brothers stated that they had not taunted the tiger. In early January 2008, the lead investigator for the city said that the men may have harassed Tatiana, but no charges were filed against them for such behavior. Taunting a zoo animal is a misdemeanor in San Francisco. Toxicology reports disclosed in mid-January indicated a blood alcohol level of 0.16 for 19 year old Amritpal Dhaliwal, twice the legal limit for operating a motor vehicle, and that alcohol was also present but under the legal limits for Kulbir Dhaliwal, 23, and for Carlos Sousa, 17. There was also evidence of cannabis use amongst all three. Reporters also noted that "[p]olice found a small amount of marijuana in Kulbir Dhaliwal's 2002 BMW, which the victims drove to the zoo, as well as a partially filled bottle of vodka, according to court documents." The San Francisco Chronicle described the attitude of the Dhaliwals as "hostile" to the police following the attack, reporting that they initially refused to identify themselves or Carlos Sousa to the police, refused to give interviews to the police until two days after the attack, and would not speak publicly about the details of what happened to them. On February 16, 2008, the zoo re-opened the exterior tiger exhibit which was extensively renovated to meet the extension of the concrete moat wall up to the minimum height of 16 feet 4 inches from the bottom of the moat, installation of glass fencing on the top of the wall to extend the height to 19 feet, and installation of electrified "hotwire". Help make the zoo a safe environment. The magnificent animals in the zoo are wild and possess all their natural instincts. You are a guest in their home. Please remember they are sensitive and have feelings. PLEASE don't tap on glass, throw anything into exhibits, make excessive noise, tease or call out to them. 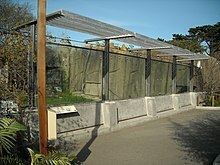 On January 1, 2008, the Dhaliwal brothers hired lawyer Mark Geragos and planned to sue San Francisco Zoo for their "utter disregard for safety." On March 27, 2008, the Dhaliwal brothers filed claims with the city of San Francisco seeking compensation for their injuries and emotional harm. In mid-2008, the city rejected the first claims filed earlier that year by both the Sousa family and the Dhaliwal brothers. On June 30, 2008, the City of San Francisco denied responsibility for the tiger attacks, referring the claim of Sousa's parents to the San Francisco Zoological Society. The terms of the zoo's lease with the city require the Zoological Society to indemnify the city from any claims arising from zoo operations. In November 2008, the Dhaliwal brothers followed up their initial filing with a new suit in federal court which accused city and zoo officials of defamation for suggesting the young men had provoked the tiger, in addition to a claim of negligence for the incident itself. Despite the eyewitness accounts, Geragos denied that the brothers teased the animals. In the last week of December 2008, the city filed a lien in the federal lawsuit brought by the Dhaliwals against the zoo. The lien is intended to recover over $75,000 for medical care spent on Kulbir Dhaliwal in city facilities. The city did not comment on why no similar lien was filed to recover the expenses of Amritpal Dhaliwal's care. The suit was settled in May 2009 for terms under which San Francisco Zoo paid $900,000 to the brothers. On December 23, 2008, the parents of Carlos Eduardo Sousa Jr filed suit against the city and the zoo. Marilza and Carlos Sousa claimed wrongful death of their son, a minor, and asserted in their filing that the zoo ignored industry standards and warnings from its own staff that the tiger enclosure was insufficient to contain Tatiana. Their attorney, Michael Cardoza said the suit sought unspecified damages for wrongful death, negligence, culpable and reckless conduct and maintaining a public nuisance. The suit was settled in February 2009; terms of the settlement were not disclosed. Four police officers – Scott Biggs, Yukio Oshita, Kevin O'Leary and Daniel Kroos – were honored for bravery during the incident. On December 25, 2008 a life-size concrete-and-tile sculpture of Tatiana, by Jon Engdahl, was unveiled near Coit Tower. ^ a b c d e Rubenstein, Steve (December 27, 2007). "Tiger Kills San Francisco Zoo Patron, Injures Two Others". San Francisco Chronicle. Retrieved March 4, 2017 – via SFGate.com. ^ "Horrified zoogoer recalls tiger attack". Patricia Yollin. San Francisco Chronicle. January 1, 2007. Retrieved December 26, 2007. ^ "Police: San Francisco Tiger Attack May Have Been Provoked". Associated Press. Fox News. December 26, 2007. Archived from the original on February 8, 2009. Retrieved December 26, 2007. ^ a b SF zookeeper mauled by tiger settles lawsuit, San Diego Union-Tribune, January 16, 2009. ^ a b Elsworth, Catherine (December 27, 2007). "Victim may have helped zoo tiger escape". London: The Daily Telegraph. Retrieved December 27, 2007. ^ a b c d SF Settles with Zoo Keeper Mauled by Tiger, January 17, 2009, Bay City News. ^ Fagan, Kevin; VanDerbeken, Jaxon; Koopman, John; Lagos, Marisa (December 27, 2007). "Video of Authorities in the San Francisco Zoo". San Francisco Chronicle. SFGate.com. Retrieved December 27, 2007. ^ a b c Van Derbeken, Jaxon; Fagan, Kevin (December 29, 2007). "Police, fire logs in S.F. tiger mauling show scene of chaos, delay". San Francisco Chronicle. Retrieved December 29, 2007. ^ a b Podell, Nick (January 3, 2008). "S.F. Zoo investigating tiger attack, but first it is reopening". San Francisco Chronicle. SFGate.com. Retrieved January 3, 2008. ^ a b Read Tiger Attack Autopsy, June 2, 2008. KGO-TV San Francisco, ABC News. ^ a b c Solis, Suzanne (December 30, 2007). "Father of boy killed by tiger says he'd like to hear from survivors". San Francisco Chronicle. Retrieved December 31, 2007. ^ "California teen named as victim of tiger mauling". CNN. December 26, 2007. Retrieved December 26, 2007. ^ "Newlyweds party at San Francisco Zoo". USA Today. January 1, 2008. Retrieved May 23, 2010. ^ BBC Staff (December 26, 2007). "US Zoo Baffled by Tiger's Escape". BBC News Online. Retrieved December 26, 2007. ^ "Escaped Tiger Stalked Brothers". JEMS - Journal of Emergency Medical Services. Dec 26, 2007. ^ a b Fagan, Kevin; Vega, Cecilia M.; Coté, John; Lagos, Marisa (December 27, 2007). "Tiger grotto wall shorter than thought, may have contributed to escape and fatal attack". San Francisco Chronicle. ^ Associated Press (January 17, 2008). "Police: Tiger attack victim was drinking, admitted taunting". CNN. Archived from the original on January 19, 2008. Retrieved January 17, 2008. ^ Van Derbeken, Jaxon (January 17, 2008). "Mauling Survivor Said he Yelled at Tiger". San Francisco Chronicle. ^ Berg, Emmett; Olshan, Jeremy (January 1, 2008). "tall_order_for_deadly_barrier". The New York Post. Retrieved January 2, 2008. ^ Yollin, Patricia; Schevitz, Tanya; Fagan, Kevin (January 3, 2008). "S.F. Zoo visitor saw 2 victims of tiger attack teasing lions". The San Francisco Chronicle. ^ "Evidence May Show Cover-Up In Tiger Attack". CBS. January 16, 2008. Archived from the original on February 20, 2008. ^ a b Collins, Terry (January 3, 2009). "SF wants $75,000 Back from Tiger Attack Survivor". AP Online. Archived from the original on June 10, 2014. Retrieved March 4, 2017 – via HighBeam.com. (Subscription required (help)). ^ a b Yollin, Patricia, et al. S.F. Zoo visitor saw 2 victims of tiger attack teasing lions, January 3, 2008. San Francisco Chronicle, print edition; also online at SFGate.com. ^ a b Van Derbeken, Jaxon (January 18, 2008). "Police: Zoo Survivor Told of Standing on Railing and Yelling at Tiger". San Francisco Chronicle. Retrieved March 4, 2017 – via SFGate.com. ^ "Experts: Taunts Not Only Factor In SF Tiger Attack". CBS 5. January 18, 2008. ^ "Tiger attack victim admits taunting, police say". NBCNEWS.com. Associated Press. January 18, 2008. Retrieved March 8, 2017. ^ "Tiger-Attacked Brothers Hire Legal Pit Bull". ABC News. January 1, 2008. Retrieved January 1, 2008. ^ Brothers who survived tiger attack at S.F. Zoo file claim against city, San Francisco Chronicle (March 28, 2008) Retrieved on March 28, 2008. ^ a b c d Woolfolk, John. San Jose family of teen killed by tiger sues San Francisco, zoo, December 23, 2008, San Jose Mercury-News. ^ "City denies liability in Christmas Day tiger attack". Associated Press. July 1, 2008. Archived from the original on July 4, 2008. Retrieved July 1, 2008. ^ a b Mark Gomez (May 29, 2009). "Brothers receive $900,000 settlement for San Francisco zoo tiger attack". Mercury News. ^ Lagos, Marisa. Cops who shot tiger to be recognized as heroes, January 16, 2009, "City Insider" column, San Francisco Chronicle via SF Gate. ^ a b Koopman, John. Sculpture of Tatiana the tiger unveiled, December 26, 2008, San Francisco Chronicle, p. B-2; also in online edition at SFGate.Com. This page was last edited on 10 March 2019, at 03:40 (UTC).